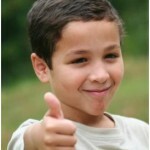 Supporting Success For Children With Hearing Loss | Social Needs & "I hate my hearing aids!" There is no magic single solution to keeping hearing aids on students as they enter the tween/teen years. Why do kids reject their hearing aids – they help them so much! To the child, not wearing hearing aids is a solution to an uncomfortable social/identity situation. 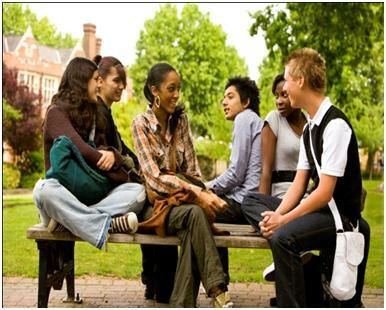 Ironically, it is the students with mild and moderate hearing loss – those who can hear closest to ‘normal’ with amplification – who are at highest risk for rejecting their hearing aids because they can ‘hear’ and are willing to try to ‘get by’ with the hearing that they have. 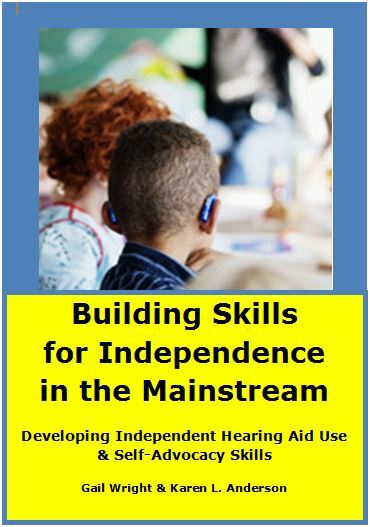 Also refer to the webpage Addressing Self-Esteem and Issues of Fitting In and Why do so Many Students that Function with Mild Hearing Loss have Challenges Fitting In? at Mild Hearing Loss & Learning and to Being the Lone Student with a Hearing Loss at Relationship of Hearing Loss to Listening and Learning. The report Psychological Affects of Hearing Loss In Teens provides insights, especially for children who have recently lost their hearing. Won’t it help if I explain and ‘show’ the student how much better s/he does with hearing aids? It is likely that the student realizes that communication is more difficult when the hearing aids are not worn or that they miss a lot more teacher information when they don’t wear the FM in the classroom. Providing them with the numbers will quantify this difference to the student, but it is unlikely to make him change his mind long term about wearing hearing aids since the uncomfortable reality of feeling as though he is ‘weird’ or ‘doesn’t fit in’ is still unresolved. Similarly, firm expectations and behavior contracts may work in the short-term, but are not likely to make a long term difference. That said, it is still important for the child as a consumer to be able to understand his hearing loss and what he can/cannot hear. The hearing loss will be with the child his whole life and he will be asked countless times about it. He needs the language to describe to others so they can understand what the hearing loss means in terms of the person’s communication needs and expectations for his/her communication partners. Some students don’t seem to have these struggles while others start to reject their hearing aids by the 4th grade – what’s the difference? 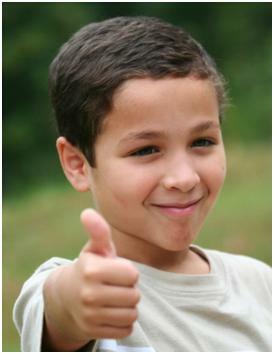 To really ‘fit in’ to a group of typically hearing children the child with hearing loss needs to have age-appropriate social skills, be aware of subtle social cues and also have high self-esteem to admit they have a hearing loss (disclosure) and be willing to take the emotional risk of advocating for their communication needs. Underpinning these skills is a strong self-concept and identity as a person who is likeable and capable. Some children are raised with mixed messages that result in them internalizing that their hearing loss is a problem that separates them from being the child that their parents wanted (see Attitude is Caught, Not Taught). In this situation, rejecting the hearing loss (and hearing aids) is an attempt to make themselves more acceptable in the family setting. Emotional ‘loyalty’ to family attitudes can interfere with the child’s openness to recognize that hearing aids are necessary for learning and academic success. Alternately, some children come from families who have embraced them as ‘just kids who happen to need hearing aids’, treating use of the devices as matter of fact as needing to wear shoes, and as recognizing them as being special just for who they are. Coming from a ‘celebration and acceptance of differences’ value base from an early age goes far in providing a child with the resilience needed to answer the questions of curious peers and feel good about ‘cool technology.’ Of course there are some children who come from very supportive families who still reject their hearing aids, perhaps due to lack of resilience to negative peer comments or as a part of identity struggles due to other challenges unrelated to hearing loss that can cause a child to feel as though they do not fit in. Early intervention services that include discussions of social development needs and connect families of children with hearing loss are an important contributors to the attitudes that develop children’s view of themselves. Once a child is in elementary school (by age 5) it is critical for them to have ongoing connections with other children who use hearing technology. Use of the hearing devices must become part of their identity and our identities are largely formed by our social groups. Children who are only surrounded by peers with typical hearing will be much more likely to reject hearing aids as a way to fit in. Identity is key! Another thing to keep in mind is that adolescents are more likely to reject anything they felt ‘has been done to them.’ This is why it is so important to encourage the child to be involved in choosing hearing aid or earmold colors, asking the audiologist questions or and being responsible for their hearing devices as early as possible. If they’ve invested themselves and been recognized as being their own “Technology Specialist’ then they may be less likely to feel as though they were a bystander in the decision to wear hearing devices. 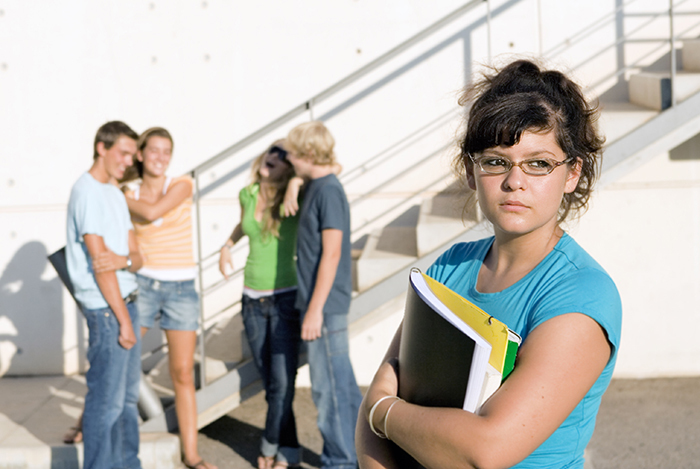 Adolescents are concerned with how they appear to others. They are trying to reconcile “the person I am” with “the person society expects me to become.” They establish this new sense of self by using past experiences to guide their anticipation of the future. When the adolescent finds a balance between “What have I got?” and “What am I going to do with it?” they will have established their identity. DHH professionals with long experience probably know of some students who rejected their hearing aids in middle school, only to return to using them in high school, whereas others never used amplification again. The difference is likely rooted in whether or not their developed identity included a central view of themselves as a person with hearing loss or a view of themselves without the hearing loss (but possibly a view of learning challenges, inadequacy, ‘can’t do school’). 5. Self-acceptance: blaming others for communication difficulties; desire for normal hearing; downplaying need for accommodations when challenged by teachers (“just forget it”); something just to deal with; being unique. 6. Special Considerations for Parents Raising a Teenager with Hearing Loss is a brochure about supporting full time hearing aid use by teenagers. Part of these issues need to be prevented, by building strong self-concept and strong self-esteem from a young age. All of these issues need to be acknowledged and openly discussed by the time students are tweens to help the student become aware of “What have I got?” as a foundation for being able to positively visualize “What am I going to do with it?” as they move through adolescence. 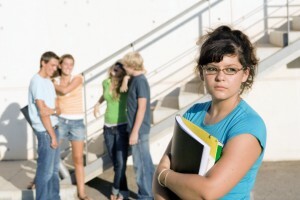 In elementary school – certainly by the end of 4th grade – the early tweens are already aware of trying to reconcile “the person I am” with “the person society expects me to become.” If “the person I am” is the only child with hearing loss in the whole grade/school, then “the person society expects me to become” is likely to be internalized as someone without hearing loss. At this juncture it is important for students to be connected with peers who also have hearing loss and communicate/wear hearing devices like them. Being exposed to role models a few years older who willingly use hearing devices and advocate for themselves would tremendously increase the chance that the child would develop a positive feeling about being a member of the group of “successful/cool kids who wear hearing devices.” Discussing how the students feel about their hearing aids, tasking them with describing their hearing loss to one another, developing a sense of group by sharing ‘oh no, guess what happened to me’ stories and brainstorming ‘you could have done/said this’ in the group will strengthen the sense of valued membership (the Rule the School Self-Advocacy Game can help with this). In addition, it is very important to also bring hearing peers into the discussion so that the student with hearing loss can understand, first hand, how peers view them in light of their hearing needs (SOAC-A checklist is suggested). Children need to reconcile themselves as part of the group that has hearing loss/wears hearing devices AND the group of age-peers in school who do not have hearing loss, rather than only the typically hearing group if they are to be emotionally as well as academically successful individuals. Also putting them in the important role of being their own ‘Technology Specialist’ can provide a source of pride and growing independence as they are better prepared to answer questions about their hearing technology – and kids really like technology, peers included. Being able to consider themselves part of a group of other children with hearing loss and having the opportunity to talk about common issues can go a long way toward a more positive self-identity. Social group options through the school district or organized by the state may result in better test scores as more students keep their hearing aids on! There are also blog sites for teens with hearing loss such as http://bf4life-hearing.weebly.com that supports kids who are deaf or hard of hearing meeting other kids who have a hearing loss. Be sure to review blog and chat sites carefully before recommending them to children/families. It is critical for early interventionists, preschool settings, schools and audiologists to connect families of children with hearing loss together so that kids can spend time with other kids who use hearing devices. It is every bit as important for the family members to encounter other families with ‘cool, successful kids’ who happen to have hearing loss. There are some handouts available for families regarding self-esteem building at the end of Chapter 5 in Building Skills that may be most useful for young students. Rejection may also be due to problems with amplification! Students ask me “What is that?¨ I really dislike that. If students didn’t grow up using the FM units, they don’t feel comfortable with them. Teacher forgets to use it. I don’t feel it makes a huge difference because I can just ask my friend if I think I missed something. I don’t like the fact that I have to give it to the teacher. I feel bad teachers have to use it. Notice that some of these issues are due to poor functioning equipment, others to resistance from teachers and others from a lack of self-esteem on the part of the student to have the resilience to endure standing out when wearing the technology or self advocating. Results indicated reasons for resisting using FM equipment as: 15% mechanical issues, 10% comfort, 10% questioned benefit, 15% lack of support of teachers, 10% inconvenient to manage FM between classes/recharging. If a student is resisting using their hearing devices, be sure that the devices are working properly, comfortable and that the student and staff clearly understands the benefit and use. Making sure that these issues are aggressively and consistently addressed AND providing social/group support discussions of emotional issues seem to be an appropriate means to support students with hearing loss so they can perform as competitively as possible in the mainstream. Better student outcomes at graduation mean a better future! Schlesinger, H.S. (1978). The effects of deafness on childhood development: An Eriksonian perspective. In L. S. Liber (Ed.) Deaf Children: Developmental perspectives (pp. 157 – 169). New York, NY: Academic Press. Elkayam, J., & English, K. (2003). Counseling adolescents with hearing loss with the use of self assessment/ significant other questionnaires. JAAA, 14(3), 486-499. Franks, J. (2004). Why do students with hearing impairments resist wearing FM amplification? Unpublished Masters Thesis. Johnson, C. (2011). “I don’t want to be different!” Strategies for Reluctant FM Users. Clarke Mainstream Conference, Northampton, MA (October).